It costs £30,000 to send your child to school at Stowe. I thought to myself; 'That's a lot of money. But if it guarantees you 7 years of education, 36 A'levels, and a network of friends who probably have to try quite hard NOT to be successful in life, then I can see how a certain type of person would think it worth it.' But it's £30,000 A YEAR, readers. A YEAR. Still, some people pay it - Richard Branson went there, as did Prince Harry's former squeeze, Chelsy Davy. 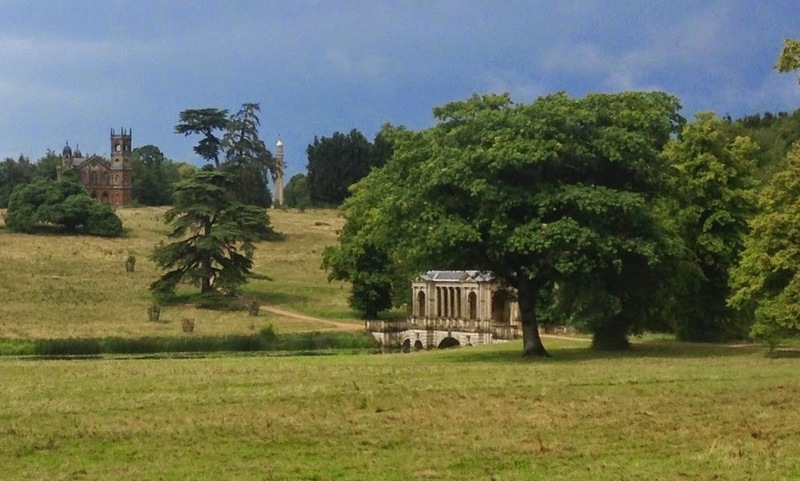 But let's be clear: the National Trust owns the gardens at Stowe, not the school, so I've split this post into three chunks: the house, the gardens, the scones. The core of the house was built in 1677-1683. Various parts were rebuilt and extended throughout the 1700s until the 2nd Duke of Buckingham went bankrupt in 1848 and the contents of the house were sold. It was eventually saved by the people that turned it into a school. 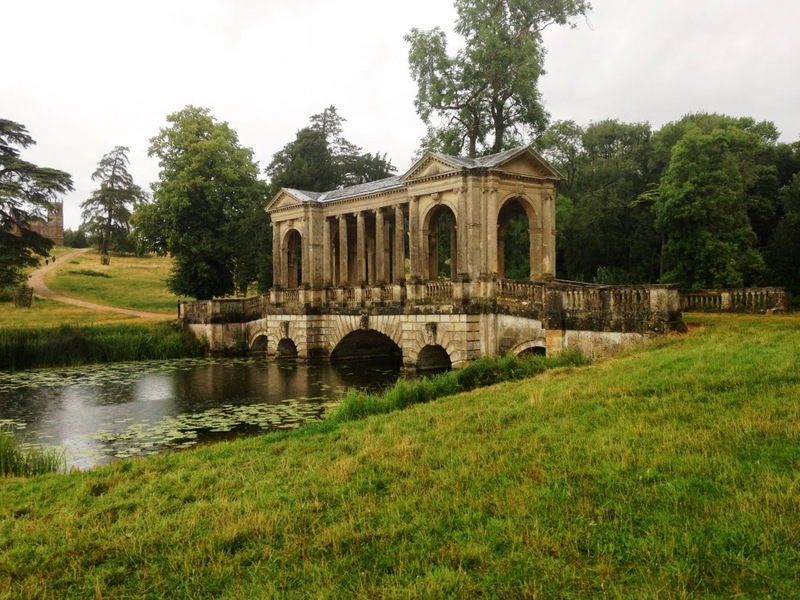 The National Trust has looked after the gardens at Stowe since 1990. 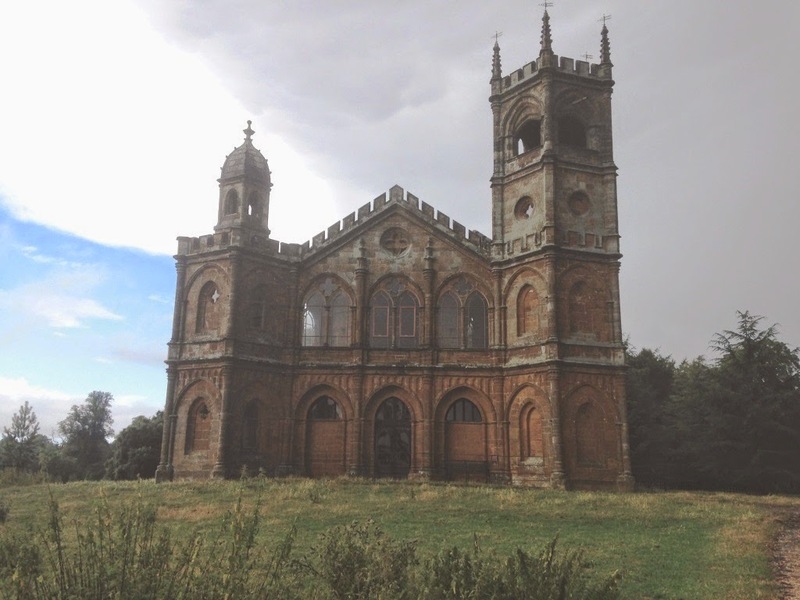 They were created mainly by Viscount Cobham and his nephew Richard, Earl Temple, who inherited Stowe in 1752. Many illustrious talents worked on the gardens, including Sir John Vanburgh, William Kent, James Gibbs, and 'Capability' Brown, and it became a popular visitor attraction in the 18th century. 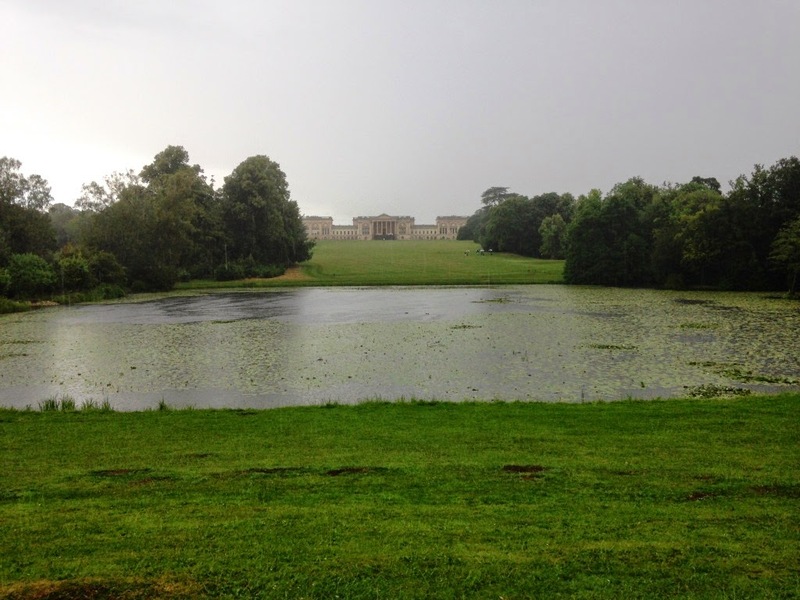 There are three main paths at Stowe: the Path of Vice, the Path of Virtue, and the Path of Liberty. As you walk round, you come across 30 or so statues, temples, and other buildings - there were others, but they've been demolished over the years. I will advise that you don't make the same mistakes as us: if you go to Stowe, set aside a good three hours minimum to see the sights and don't go when it's pouring down. And if you do happen to go during wet weather, don't wear open-toed shoes, as they don't combine well with rain and sheep poo. But here are a couple of highlights to whet your appetite. And that is sadly as far as we got before we had to admit defeat and make our way like two drowned rats back to shelter out of the rain. There's loads more to see, though, and I will definitely be back. I had really high hopes for today's scone, purely because Stowe was the 50th stop on the National Trust Scone Odyssey and I felt that this deserved a 'golden' scone. 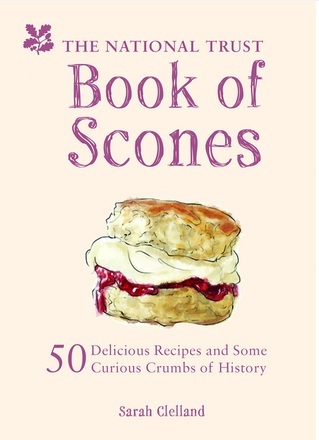 But as we've seen before, high hopes are a risky business when it comes to scones. 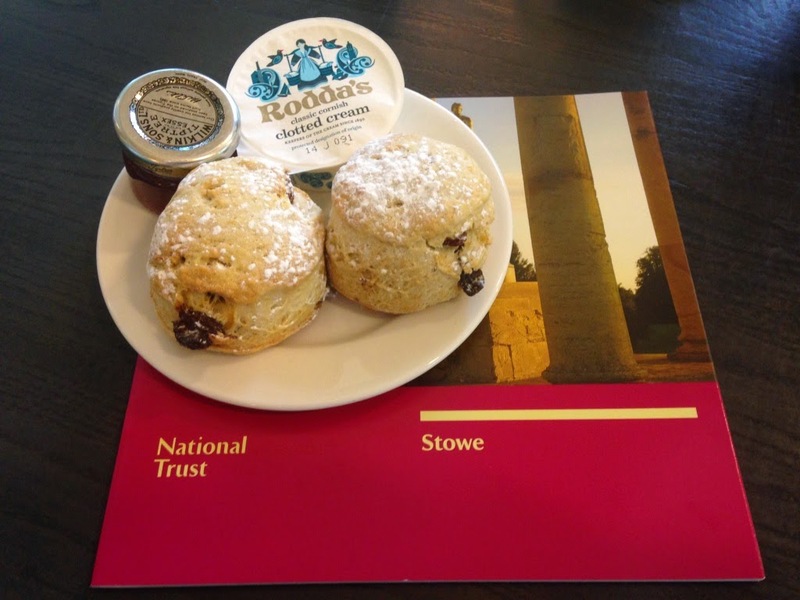 The tea room at Stowe was lovely (it looked very new) and the scones were beautiful dinky little things. Then I cut into one and my heart sank - it looked really dry (which was a bit ironic considering the torrential deluge that was battering off the windows). But it didn't taste dry at all. These scones were dense, sweet and tasty as anything. Top marks and five house points to Stowe. I then went home and tried to dry off, a task made somewhat easier by the radiant evening sunshine that streamed in through the windows and made it impossible to watch the TV. I felt like getting back in the car and returning to Stowe but that'll have to wait for another day. 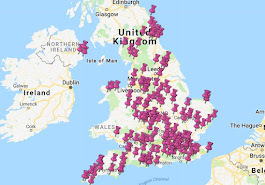 And so that completes 50 National Trust scone missions. We're taking a few weeks off but look out for the scone blog's 1st birthday round-up of Top National Trust Scones in two weeks' time.